Location: Pleaux, in the Cantal departement of France (Auvergne Region). 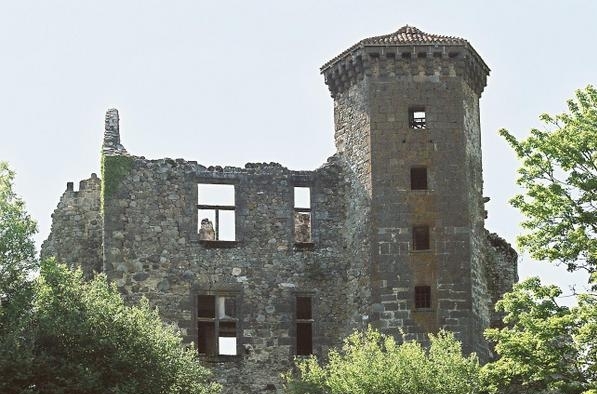 Notes: Château de Branzac is a castle of the fifteenth century, redesigned to Renaissance, now in ruins, of which stands in the old town of Loupiac merged since 1972 in Pleaux, Cantal. The mansion is the subject of a classification as historical monuments by order of 8 August 1921, Not to visit. risks of landslides and potholes.